At Over The Top we have created a top quality range of fabric specifications, designed to be practical, effective and good looking, whether your aim is to protect your prized possessions or provide maximum comfort for your animals. The ultimate in fabric technology, unbeatable in performance. The non slip base really works in our boot liners giving animals stability in difficult driving conditions. Quiltie is absolutely waterproof. Exceptionally strong top fabric with stay dry properties quilted for warmth and comfort. Special wadding absorbs the wet to keep animals dry. Brilliant for all upholstery, particularly leather, in cars and the home. Available in Green Tweed, Charcoal Grey or Black. Our original fabric is still the very best tightly woven 100% cotton. 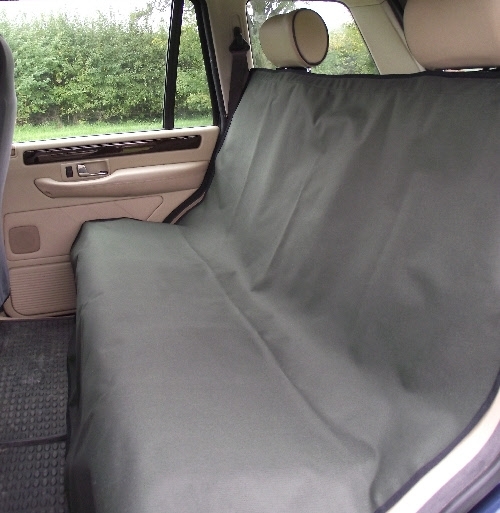 We guarantee that no hairs, mud, dirt or sand will penetrate our Pet Sheet.This well proven product, which we created in 1988, is invaluable for covering all beds, chairs, sofas and makes an excellent car seat seat cover. Available in Grey, Cream, Olive, Nutmeg or Black. Get no - nonsense full waterproof protection with our Simply Waterproof fabric. This has an extremely robust woven polyester top surface with a heavy duty waterproof backing. To clean, simply wipe down or machine wash. Ideal if you and your animals get exceptionally wet and dirty. This means we can provide washable car seat covers and dog beds. Also used for our garden furniture covers. Available in Green, Black or Grey. This luxurious wool blend tweed is very hard wearing and machine washable. 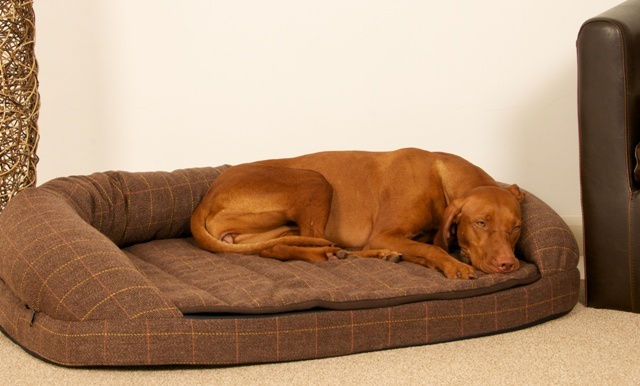 If you want luxury dog beds then this is your ideal solution. 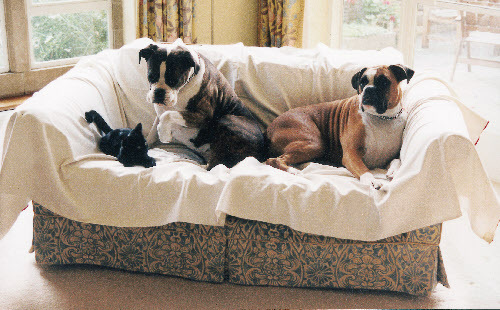 Choose from two earthy colours to ensure your home looks attractive whilst keeping your dog warm and cosy. Available in Brown and Green. A sumptuous quilted fabric with a strong backing and soft fleece top. This fabric is used on a number of our dog beds and offers your dog comfort and warmth. Easy to clean, our fleece is machine washable. Available in Black or Brown.